After his team’s most recent defeat – a 93-58 beatdown at the hands of Valparaiso – Murray State head coach Steve Prohm did not mince words: “We need to figure out what we need to do to get better. We are struggling – we’re playing terrible. Everybody knows that.” The 35-point drubbing was the Racers’ third-straight loss, an ugly punctuation to an unexpectedly poor start. “This is definitely not the same basketball team that finished the year,” Prohm said. Those statements were made on November 29 – well over two months ago – and it’s safe to say that his team has figured out how to get better. A lot better, in fact. Since losing to the Crusaders just after Thanksgiving, Murray State has reeled off 18 straight victories and put itself in position to become the first team in 11 years to go unbeaten in OVC play. With the conference’s most exceptional player pacing an highly efficient offense, the Racers seem poised to cement themselves in league history. If they can follow that success up with even more in March? Then it might be time to start mentioning Murray State in the same breath as some of the elite mid-major programs in college basketball. 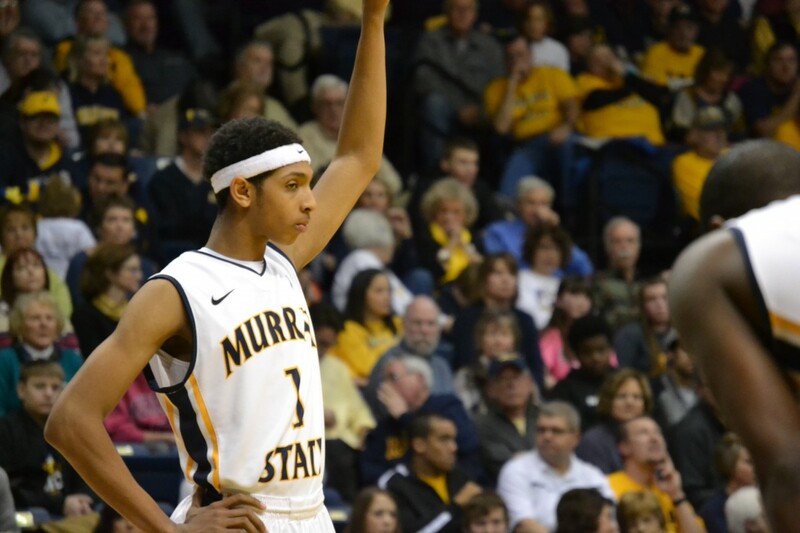 Murray State’s accomplishments to this point have mostly hinged on its ability to score with ease, a strong suit that begins with point guard Cameron Payne – the clear-cut front-runner for OVC Player of the Year. His dynamic scoring prowess (19 PPG) – quick off the dribble, adept at drawing fouls, proficient from deep – combined with equally-great passing skills (5.9 APG) makes the sophomore an unmatched force in the league. Last season, Eastern Kentucky coach Jeff Neaubauer called Payne “Murray State’s next Isaiah Canaan.” But the sophomore is not alone. Joining Payne in the backcourt are three excellent shooters – T.J. Sapp, Jeffery Moss and Justin Seymour – each of whom shoots better than 40 percent from deep and scores between 8.5 and 11.0 points per night. Down low, the Racers are equipped with arguably the conference’s best big man, 6’8’’ Jarvis Williams (16.1 PPG, 8.6 RPG), whose ability to run the floor – not to mention his great rapport with Payne – make him the perfect five man for Prohm’s uptempo attack (16.6 seconds per offensive possession; fastest in the OVC). Throw in power forward Jonathan Fairell, the fourth-best offensive rebounder in college hoops, and the sum of the parts of Murray State is an offense that might surpass last season’s Belmont group as the most efficient in recent modern OVC history. As it stands, the Racers rank 28th nationally in offensive efficiency (112.4 AdjO), just behind last year’s Bruins (112.9), and with a soft schedule upcoming, Prohm’s group has a great chance to further improve on that number. While Butler playing in the Final Four is undoubtedly good for Bulldog fans, there is some question of whether it is good financially for Indianapolis. John Gasaway at Basketball Prospectus says that Matt Howard staying out of foul trouble is not nearly as important as you would think, but that Butler forcing turnovers is. For the Sporting News’ Ryan Fagan, Gordon Hayward is the most important piece of the puzzle for the Bulldogs, and the most important player in the Final Four. 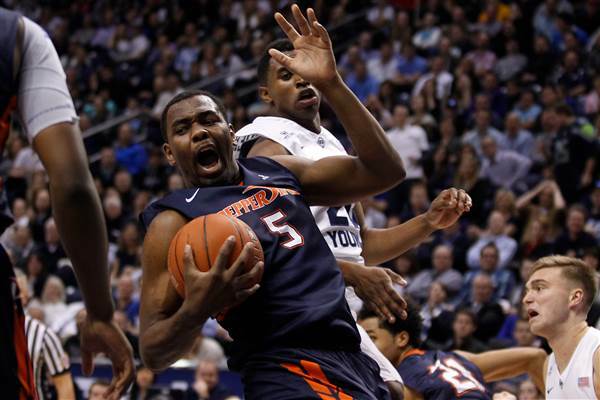 Gregg Doyel thinks this may be the year that a mid-major (or Cinderella, or just plain old “smaller school”), in the form of these Bulldogs, wins the title. But Detroit Mercy head coach Ray McCallum thinks there may be a script for beating Butler; the question is whether anyone can follow that script, something his Titans failed to do this season. ESPN’s Tim Keown has an interesting comparison of the approaches that Butler and Kentucky take towards their programs, with the Bulldogs (mostly by necessity) building piece by piece for the future while Kentucky (and more specifically, John Calipari) relies on short-term superstars. The Bleacher Report puts their own spin on a preview of the Duke Blue Devils. An article from the Star Tribune discusses how Duke ruined the Final Four because they are the only unlikable team in the mix. Here’s an article from the Miami-Herald on why people despise Duke, and apparently it starts with Coach K. I suppose the rest of the ACC hating on Duke continues into the offseason. Want to know who the best white Duke player of all time was? Well now you can! Thank God Josh McRoberts missed the list.